In these insightful short stories, inspired by her experiences as a social worker in rural Australia, Jennifer Lehmann captures the complex ways in which we negotiate our personal and professional responses to clients, colleagues and human service practice. This set of eight stories can be read simply for pleasure. But the stories also offer a teaching tool for use with students in the fields of social work, social policy, health, education, justice and psychology. Teachers or supervisors can use the stories to direct reflection on particular topics. For instance, some of the roles and challenges of child protection work are powerfully presented in the stories The Deciding Factor andWith the Best of Intent. 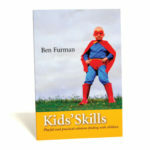 The stories can be used to tease out values, applied theories and sources of influence, as well as encouraging self-awareness and empathy. Covering subject matter that encompasses human development, social diversity and issues of deviance and disadvantage, these uniquely Australian stories can be used to explore the influence of social structures, policy, organisational realities, and the dynamics within families, friendships, workplaces and the local community. 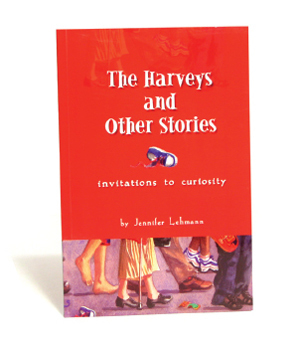 The Harveys and Other Stories includes notes on reflective learning, questions for each story and prompts for individual consideration or group discussion. Used by social work educators in universities across the country, this engaging collection of stories offers equally stimulating reading for students and the professional with years of experience in the field. I’m a second year Social Work student studying at the University of Queensland. At the end of last year I stumbled across the book The Harveys and Other Stories on your website (I was actually on there looking up Strength Cards) and wanted to let people know what a fantastic resource it is. The stories are great, BUT the questions that accompany each story have been a real bonus for me in my course work. There are questions that you can apply to so many situations, not just those presented in the stories. There have been very few assignments this year where I haven’t thumbed through those 16 pages of questions and I’ve also used them to initiate conversations in tutes. The Harveys has really led me in some interesting directions and continues to influence my thinking about what I’d like to do when I complete my degree. I welcome this book as an innovative and creative work that heralds new ways of both working with people, and learning to work with people. Book review, Australian and New Zealand Journal of Family Therapy, vol. 25, no. 3, September 2004, p. 176. The general audience for The Harveys would be social workers, and community services practitioners and students. It is a collection of short stories about people’s lives, with characters covering a broad spectrum of society, from professionals to families struggling on welfare. The author’s purpose is to provoke thought and discussion around each of the stories. Jennifer Lehmann draws upon her vast experience as a social worker in both the city and rural environments. I was quite taken with the notion of ‘Invitations to Curiosity’, as this is exactly what happened as I read the stories. I found myself hypothesizing about the situations, and the characters, and I was curious about the outcomes. I found I was easily able to slip into the ‘role’ of the worker. I also wondered how I might handle each situation. The vignettes are varied enough to provoke thoughts on work practice, policy and procedure, and personal and professional values and attitudes. It was good to read about other workers’ experience, and the dilemmas they sometimes face. It helps to know you’re not alone in your thinking and feeling. From a lecturer’s perspective (Community Services Youth Work), I find the book would be a good tool for promoting discussion amongst students. 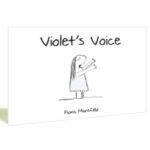 It is innovative, the characters are ‘alive’, the stories ‘real’, the situations broad enough to cover a number of learning outcomes, from social structure and policy to social justice, and values. My only suggestion for possible improvement would be to move the guide for discussion to the end of each related story. I found I read the stories all at once, and then discovered the guide. The guide brought up some possibilities I had overlooked in my own reflection, and it would have been beneficial to read it after each story. All in all, this book achieves what it set out to do. When the author shared drafts of The Harveys and Other Stories they impressed with the breadth of issues they touched on, their potential to raise questions and trigger insights. They allow the reader to glimpse the inner worlds of many of the characters, and they point at the same time to the realities of structure and culture which in many ways enhance or constrain everyday life and which lay the tracks on which we act out our choices on life’s journey. Their potential as a teaching aid for budding human service practitioners was also apparent and we took advantage of this by sharing them with our second year social work class of 2002. The subject area was one which explored human development, social diversity, and issues of deviance and disadvantage. Students were asked to read the stories and choose one as a basis for discussing their learning from the course. Their comments reflected the thought-provoking nature of the stories and much arousal of interest. One remarked that on reaching the end of them she felt hungry for more. Each story it seems stretches the imagination, invokes a range of feelings and raises a host of questions about how one could or should respond to the circumstances, attitudes and actions of the characters. Collectively they touch on an array of human emotions, of both extreme and subtle forms. They canvas a range of life stages from childhood to ageing as well as a number of other aspects of diversity including, gender, race, socio-economic status, sexual orientation, health and mental health. Within these there are examples of life on the margin, the challenging of norms and in two instances the escalation of events to the point of murder and its aftermath. Issues of social structure, organisational life and socio-political context also appear in poignant observations of the dynamics within families, friendships, the work place and local communities. There is an Australian flavour in the context and some leaning toward rural and country town environments. There is a strong consciousness of the significance of time and distance in people’s lives and many pointers to the many facets of communication, including the lack of it in some instances, and the distortion of it for various ends.